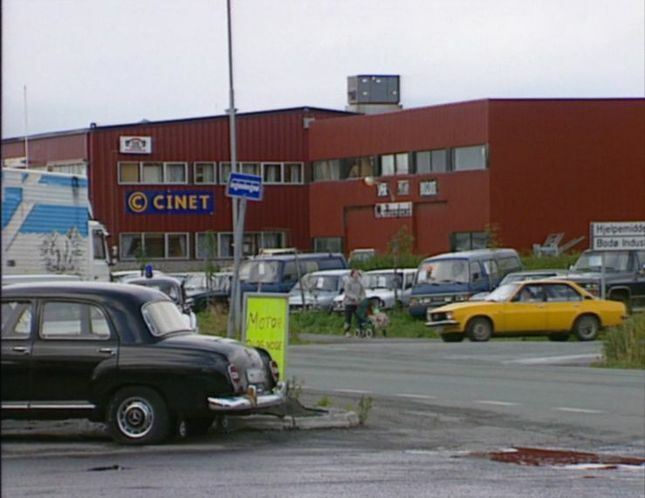 IMCDb.org: 1960 Mercedes-Benz 180 b 'Ponton' [W120.010] in "Pelle politibil, 1993-1997"
It's a smaller one. All the 6-cylinder versions had a chrome strip under the side windows and C-pillar, and all of those except the 219 had rear quarter lights and double sil strips. The 180 (D) [W120] was the only version that lacks all these features. 1953+, unless it is possible to see quarterlights in the front doors, in which case it would be 1958+. Who listed it as 1960 and why?